Spirits Michter’s ‘Barrel Strength’ Kentucky Straight Rye 113° - Royal Wine Merchants - Happy to Offer! Single barrel. Limited quantities. For maturation, the Rye distillate is entered into the barrel at 103 proof, rather than a more industry standard higher proof yielding a richer, smoother, more full-bodied whiskey after proper maturation. 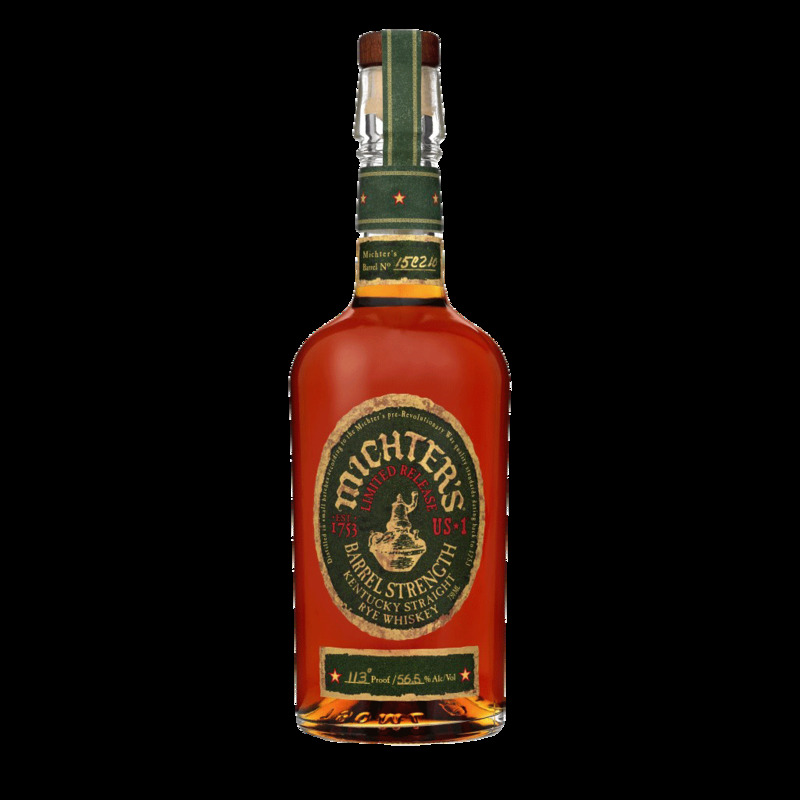 A single barrel product, each barrel of Michter’s US1 Barrel Strength Rye is bottled at its particular alcohol level at the time of bottling. The majority of barrels in the releases range from 107 to 113 proof. Aged in fire-charred, new American white oak barrels Notes of Butterscotch and cinnamon with a hint of cherries on the nose; warming, rich, toasty vanilla and caramel up front with a dry oaky spice on the finish.